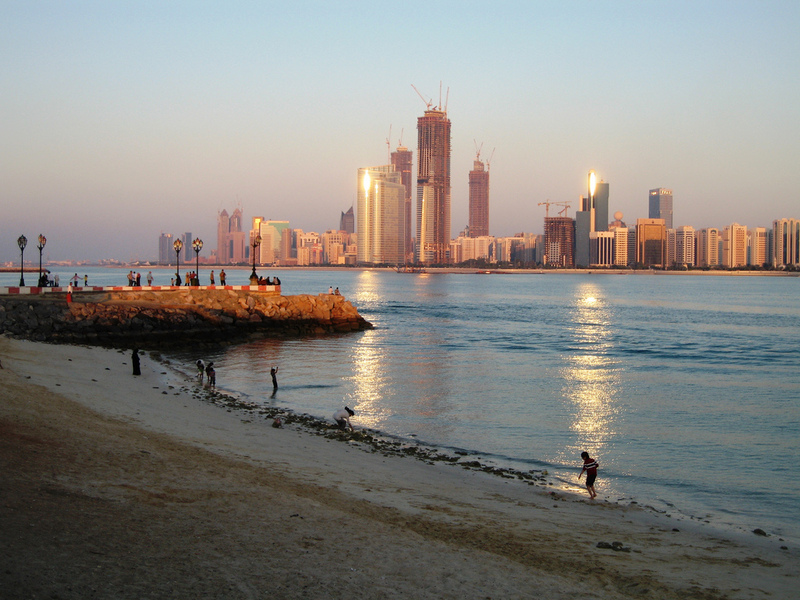 Abu Dhabi, the Emirate accounts for about 80% of the country’s land mass and the city of the same name, which is also the country’s official capital. Since about 2005, Abu Dhabi has played catch-up big time and is now proving to be a magnet for the tourist dollars and euros that is almost the equal of Dubai. It may also be the preferred destination for the expatriate work force, drawn by the massive building and infrastructural projects that have swung into action over the last 10 years. So, Dubai or Abu Dhabi? Let’s see if we can’t shed a little light on why the choice isn’t now as obvious as it was just a few years ago. Let’s face it, Dubai was first out of the blocks in making itself known to the rest of the world. It very quickly established an international reputation for itself based on being a safe, tolerant, tourist-friendly and exotic destination with exciting architecture going up almost over night. It had an international airline that bought the newest and best of everything, a world-class airport hub in the center of the city and plans for more, more and more. It was the first part of the UAE to actually allow buyers to purchase property. And the feeding frenzy to get in and make profits by buying and selling apartments before they had even been built made a few fortunes and lost quite a few as well, particularly those who came into the market later. It was easy to get swept up in the heady excitement of what was happening in Dubai, both as a resident expat and a passing tourist. Then came 2007 and the brakes went on. Abu Dhabi on the other hand, sat back and watched. It wasn’t until the installation of the current ruler and President of the UAE, H.H. Sheikh Khalifa bin Zayed Al Nahyan, in late 2004 that things began to stir and Abu Dhabi slowly revealed its own plan to put it squarely on the world map. You see, Abu Dhabi Emirate is where the oil is, so Abu Dhabi didn’t have a financial crisis in 2007. So if you are forced to choose between Dubai and Abu Dhabi, this, then, is a taste of what you can expect, if you choose the latter. All the shopping opportunities and grand hotels that Dubai trumpets to the world, you can find in Abu Dhabi as well. It’s Burj Al Arab is the sumptuous Emirates Palace – read about it and drink in the images by accessing the link that goes with the name. Shopping also – while there isn’t a Dubai Mall yet, Abu Dhabi’s Marina Mall is not far behind. But so far, I might concede that it’s either a tie, or that Dubai Mall and the Burj Khalifa (the world’s tallest building) put Dubai ahead by a nose, for now. Then we look at the raft of projects that are Abu Dhabi’s equivalent of the Palm Islands, the artificial canals, the Dubai Financial Center and you may conclude that with all that oil revenue, Abu Dhabi might just about be unstoppable. Let’s start with Saadiyat Island. Unlike the Palms in Dubai, Saadiyat is a real island lying just 500 meters off the coast of Abu Dhabi city. It is undergoing a program of development that is quite mind-boggling and is expected to be complete by 2020, though as parts of the projects come on-stream they will be opened to the public. For example, of the string of franchised museums to be built on one part of the island, the Louvre is due to open next year. For a quick and comprehensive list of what is going on now and in the future on Saadiyat, the Wikipedia entry is probably the place to start, then you can search individual projects as your time and interests permit. Sir Bani Yas Island is a developed nature reserve, which was the personal project of the previous Ruler of Abu Dhabi and President of the UAE, H.H. Sheikh Zayed bin Sultan Al Nahyan. It is quite a distance from Abu Dhabi City (100kms) and 9kms offshore. Not so long ago, it was a bit of a performance to actually get there, but things are much changed these days. As well as wildlife reserves for endangered UAE native animals – oryx, gazelles, and rock hyraxes – and some other species which are not quite so native, there are resorts with luxury hotels offering safaris, snorkeling, diving and a whole host of other “adventure” activities. By the way, the non-native animals are kept fenced off from the endangered species, so it’s not an all-day-buffet for the cheetahs, hyenas and the like. Read more about what you can expect to see and do at the Anantara Island Resort and Spa on Sir Bani Yas. If the glitz and all the associated costs don’t really have any appeal, then you might like to try canoeing through the mangroves. Dubai really has no equivalent of this, whereas Abu Dhabi has extensive mangroves on its coastline. Eco tours have not been slow to see the potential and kayak tours through these areas can be arranged during your stay in Abu Dhabi. Noukhada Adventure Company is one such business you can investigate to learn more, but there are others, which a simple web search will uncover for you to compare. Yas Island (not to be confused with Sir Bani Yas Island described above) is a man-made island, reachable by road from the mainland. It is intended to be a state-of–the-art hub for leisure activities, retail shopping, entertainment, hotels and dining. Many of the anchor businesses are up and running already, such as IKEA, Ferrari World, ACE Hardware and others. Fancy water sports? Try Yas Waterworld. Formula 1? The Abu Dhabi Formula 1 circuit is located on Yas Island and Yas is now the UAE’s first port of call for all the big rock acts on tour. The Rolling Stones came to Yas: they didn’t go to Dubai! About 8 or 9 years ago, Abu Dhabi spent a lot of time and money on a very extensive remodeling of its Corniche (or waterfront). It now consists of 8 kilometers of highly landscaped and developed waterfront, with walkways and cycle paths along its length. It’s a rather beautiful area and a long leisurely walk, taking in the sights (including the tallest flagpole in the world) and sounds costs…absolutely nothing! Dubai is great, but it has serious rival now in Abu Dhabi.